Selling a home or homesite can be a difficult experience; however I have created an easy, hassle free process to ensure that selling your property is enjoyable and memorable. 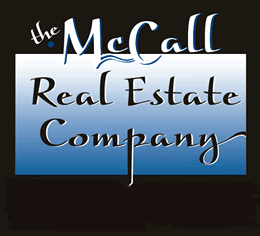 Read our guide to selling your home in McCall. 3 Reasons Your Home is Not Selling. Most frustrations and bad experiences come from false expectations. I create an environment where I detach myself from the listing to establish a true and realistic expectation for the sellers. This starts with the initial meeting to include a listing presentation as well as the marketing plan for getting your property sold. To start of a smooth and fruitful process I find that meeting with clients and getting to know them, there situation and their expectations creates a valuable tool to insure that the selling of your property goes well. I like to talk with the sellers, get to know more about the property, features, and benefits of the home or homesite prior to creating a listing and marketing proposal. It is this step where it is integral to get the person and personality behind the property so that I can better understand what it is and what it has to offer. I know that in order to make a great decision sellers often interview more than one agent. Because of this I find that it is imperative to have a comprehensive listing and marketing proposal that is tailored to that specific home or homesite. My listing presentation will take into consideration what type of property, amenities, and features and matches them up with the appropriate marketing avenues. I have created a unique and effective 14 point marketing program for the sale of homes and homesites. One of the biggest pitfalls for sellers, especially for out of state sellers, is the lack of communication on the side of their listing agent. I find that it is imperative in the sales process to keep the seller as up-to-date as possible to ensure that they are informed on what is happening in the McCall market and what is happening with the property. The frequency of updates I leave to the discretion of the sellers. It is your property and your time and I find that it works best to know how often you want updated and make sure that it is adhered to. Every offer counts! In the process of selling it is imperative to take a look any and all offers that are submitted. It is my duty to ensure that these are presented in a timely manor and given the appropriate attention. Once I have sent the offer on to you I follow up with a phone call to go over the offer. It is of great help to understand the offer completely and know how much is being offered, who is paying for what expenses, how much is the net, are there any loop holes or “easy outs”, and when will it close. Once we have thoroughly gone through the offer and you understand all aspects then we have to decide if we reject it, counter back and at what items and terms, or accept it and move to closing. Negotiations are truly an art form where the negotiator has to be flexible yet firm to understand the opposing side and be able to end the negotiations with there clients best interests on top. The second to last step in the process is the actual closing of the transaction. This is where the escrow officer goes through the closing documents page by page to ensure that everything is as it should be. Once all of the documents get signed and dated from both the buyers and sellers, then the title company records the deed and disburses the money thus creating a third party transaction. Once you receive the funds the new owner takes over and you are on your way to the next chapter in your real estate life. Closing doesn’t mean the end of the relationship. It is important to keep in contact to ensure everything that transpired did in fact happen and that life is going well. I will touch bases periodically to check in to see how everything is going and to answer any and all questions you have. I am always available and look forward to working with you again in the future or any of your family or friends.